Is it better to rank higher in a single position frequently, or to own more of the SERP real estate consistently? The answer may vary. In today’s Whiteboard Friday, Rand presents four questions you should ask to determine whether this strategy could work for you, shares some high-profile success cases, and explores the best ways to go about ranking more than one site at a time. Howdy, Moz fans, and welcome to another edition of Whiteboard Friday. 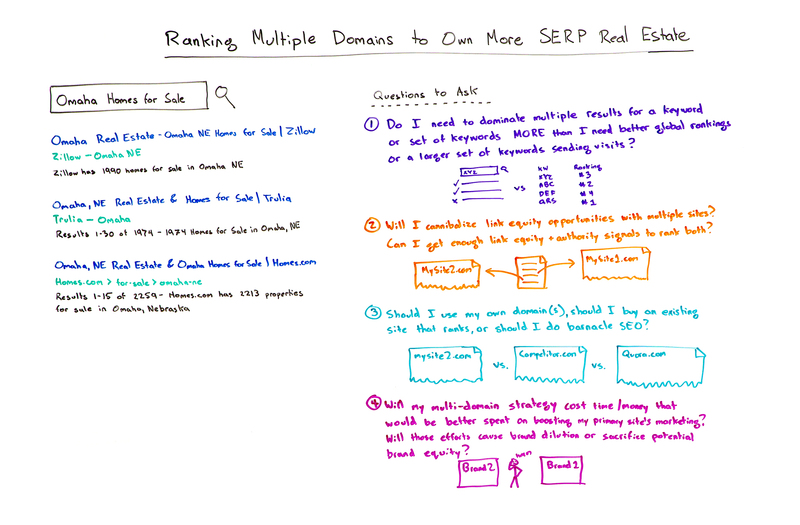 This week we’re going to chat about ranking multiple domains so you can own a bunch of the SERP real estate and whether you should do that, how you should do that, and some ways to do that. I’ll show you an example, because I think that will help kick us off. So you are almost certainly familiar, if you’ve played around in the world of real estate SERPs, with Zillow and Trulia. Zillow started up here in Seattle. They bought Trulia a couple of years ago and have been doing pretty amazingly well. In fact, I was speaking at a real estate conference in New York recently, and my God, I did an example where I was searching for tons of cities plus homes for sale or plus real estate or houses, and Zillow and Trulia, along with a couple others, are in the top five for every single city I checked no matter how big or small. So very, very impressive SEO. One of the things that a lot of SEOs have seen, not just with Zillow and Trulia, but with a few others like them is that, man, they own multiple listings in the SERPs, and so they kind of dominate the real estate here and get even more clicks as an entity, a combined entity than they would if Zillow had, for example, when they bought Trulia, redirected Trulia.com to Zillow. 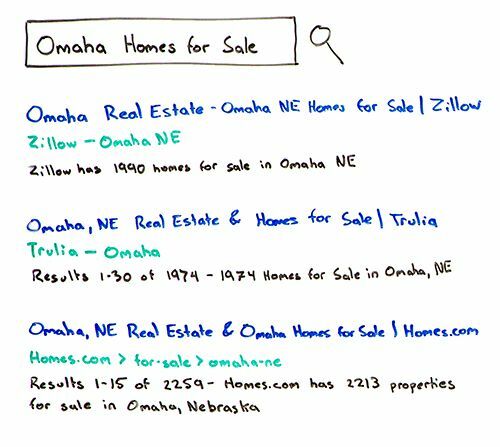 On Whiteboard Friday and at Moz and a lot of people in the SEO world often recommend that when you buy another domain or when you’re combining entities, that you do actually 301 redirect, because it can help bring up the rankings here. The reason Zillow did not do that, and I think wisely so, is that they already dominated these SERPs so well that they figured pushing Trulia’s rankings into their own and combining the two entities would, yes, probably move them from number two and three to number one in some places, but they already own number one in a ton of these. Trulia was almost always one or two or three. Why not own all of that? Why not own 66% of the top three consistently, rather than number one a little more frequently? I think that was probably the right move for them. As a result, many SEOs asked themselves, “Should I do something similar? Should I buy other domains, or should I start other domains? Should I run multiple sites and try and rank for many different keyword phrases or a few keywords that I care very, very deeply about?” The answer is, well, before you do that, before you make any call, ask yourself these four questions. The answers to them will help you determine whether you should follow in these footsteps. 1. Do I need to dominate multiple results for a keyword or set of keywords MORE than I need better global rankings or a larger set of keywords sending visits? So first off, do you need to dominate multiple results for a keyword or a small set of keywords more than you need to improve global rankings? Global rankings, I mean like all the keywords that your site could rank for potentially or that you do rank for now or could help you to rank a larger set of keywords that send visits and traffic. You kind of have to weigh these two things. It’s either: Do I want two out of the top three results to be mine for this one keyword, or do I want these 10 keywords that I’m ranking for to broadly move up in rankings generally? Even at Moz today, Moz does very well in the rankings for a lot of terms around SEO. But if, for example, let’s say we were purchased by Search Engine Land or we bought Search Engine Land. If those two entities were combined, and granted, we do rank for many, many similar keywords, but we would probably not keep them separate. We would probably combine them, because the opportunity is still greater in combination than it is in dominating multiple results the way Zillow and Trulia are. This is a pretty rare circumstance. 2. Will I cannibalize link equity opportunities with multiple sites? Can I get enough link equity & authority signals to rank both? Second, are you going to cannibalize link equity opportunities with multiple sites, and do you have the ability to get enough equity and authority signals to rank both domains or all three or all four or whatever it is? A challenge that many SEOs encounter is that building links and building up the authority to rank is actually the toughest part of the SEO equation. The keyword targeting and ranking multiple domains, that’s nice to have, but first you’ve got to build up a site that’s got enough link equity. If it is challenging to earn links, maybe the answer is, hey, we should combine all our efforts or we should on work on all our efforts. Remember, even though Zillow owns Trulia, Trulia and Zillow are one entity, the links between them don’t help the other one rank very much. It was already a case, before Zillow bought them, that Trulia and Zillow independently ranked. The two sites offer different experiences and some different listings and all that kind of stuff. There are reasons why Google keeps them separately and why Zillow and Trulia keep them separately. But that’s going to be really tough. If you’re a smaller business or a smaller website starting out, you’re trying to decide where should you put your link equity efforts, it might lean a little more this way. 3. Should I use my own domain(s), should I buy an existing site that ranks, or should I do barnacle SEO? Okay. Now the question would be: Should you use your own domain or a new domain that you buy and register and start building up? Should you buy an existing domain, something that already ranks, or should you do barnacle SEO? So mysite2.com, that would be basically you’re registering a new domain, you’re building it up from scratch, you’re growing that brand, and you’re trying to build all the signals that you’ll need. You could buy a competitor that’s already ranking in the search results, that already has equity and ranking ability. Or you could say, “Hey, we see that this Quora question is doing really well. Can we answer that question tremendously well?” Or, “We see that Medium can perform tremendously well here. You know what? We can write great posts on Medium.” “We see that LinkedIn does really well in this sector. Great. We can do some publishing on LinkedIn.” Or, “There’s a list of companies on this page. We can make sure that we’re the number-one listed company on that page.” Okay. That kind of barnacle SEO, we did a Whiteboard Friday about that a few months ago, and you can check that out too. 4. Will my multi-domain strategy cost time/money that would be better spent on boosting my primary site’s marketing? Will those efforts cause brand dilution or sacrifice potential brand equity? 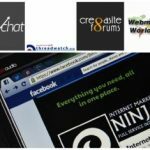 And number four, last but not least, will your multi-site domain strategy cost you time and money that would be better spent on boosting your primary site’s marketing efforts? It is the case that you’re going to sacrifice something if you’re putting effort into a different website versus putting all your marketing efforts into one domain. Now, one reason that people certainly do this is because they’re trying riskier tactics with the second site. Another reason is because they’ve already dominated the rankings as much as they want, or because they’re trying to build up multiple properties so that they can sell one off. They’re very, very good at link building this space already and growing equity and those sorts of things. But the other question you have to ask is: Will this cause brand dilution? Or is it going to sacrifice potential brand equity? One of the things that we’ve observed in the SEO world is that rankings alone do not make for revenue. It is absolutely the case that people are choosing which domains to click on and which domains to buy from and convert on based on the brand and their brand familiarity. When you’re building up a second site, you’ve got to be building up a second brand. So that’s an additional cost and effort. Now, I don’t want to rain on the entire parade here. Like we’ve said in a few of these, there are reasons why you might want to consider multiple domains and reasons why a multi-domain strategy can be effective for some folks. It’s just that I think it might be a little less often and should be undertaken with more care and attention to detail and to all these questions than what some folks might be doing when they buy a bunch of domains and hope that they can just dominate the top 10 right out of the gate. All right, everyone, look forward to your thoughts on multi-domain strategies, and we’ll see you again next week for another edition of Whiteboard Friday. Take care.